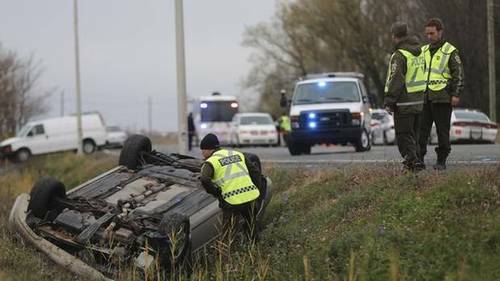 One of the two soldiers struck by a Quebec motorist with suspected jihadi sympathies has died. The soldiers were hit while they were walking late Monday morning in a shopping mall parking lot. The Prime Minister’s Office, which played a key role in making terror allegations against the suspect public, said the individual under investigation was known to counterterrorist and law-enforcement officials. This entry was posted on October 21st 2014 at 11:39am/11:39 and is filed under Live News Column 1, World News. You can follow any responses to this entry through the RSS 2.0 feed.